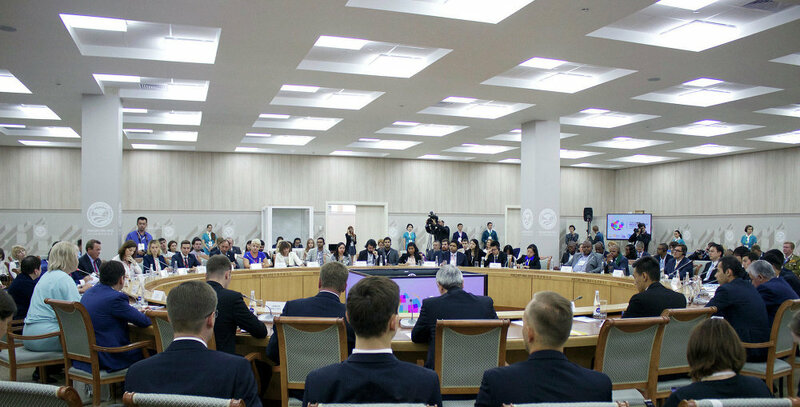 On 26-29 July, Ufa hosted the First BRICS and SCO Youth Forum involving young leaders of national public organisations. The event was sponsored by the Russian Civic Chamber and the Russian Union of Youth, a national public organisation. The participants discussed simplified visa regulations for intra-BRICS youth tourism and the creation of a youth expert centre of BRICS and SCO countries. The latter will review the most promising areas of cooperation between BRICS and SCO countries, the implementation of youth exchanges with India in 2017-2018 and others. Yelena Sutormina, Chair of the Russian Civic Chamber's Commission for the Development of Social Diplomacy and Support for Compatriots Abroad, said BRICS and SCO youth representatives were also planning to establish an information centre. The centre will promote integration, with young public activists and researchers from BRICS and SCO countries exchanging information about their projects. The best projects will eventually be submitted to the concerned state agencies for consideration. There are also plans to set up a database for accumulating proposals of young public activists as regards the development of their countries and cultural and science cooperation. Ms Sutormina hopes that these agencies will be financed by the New Development Bank of BRICS countries. "We will advance a proposal that innovation projects of young people at first receive soft loans from the New Development Bank, and later zero interest be charged on these loans," she stressed. On the last day of the event, the participants passed their concluding resolution containing proposals that will eventually form the basis of a concept for the development of BRICS and SCO youth dialogue. The final resolution includes the idea of creating and expanding the database of BRICS and SCO youth representatives, contact groups and the youth expert centre with a database of youth initiatives created within its framework. The text of the document also includes a proposal to hold annual BRICS and SCO youth games - beach football, volleyball and handball events.